As a nation, Bhutan is an extremely small country as compared to others from different parts of the world. Having said that, despite its relatively limited area, it has managed to score much better in the fields of development, elimination of poverty, and sustained growth than many of its better known counterparts. 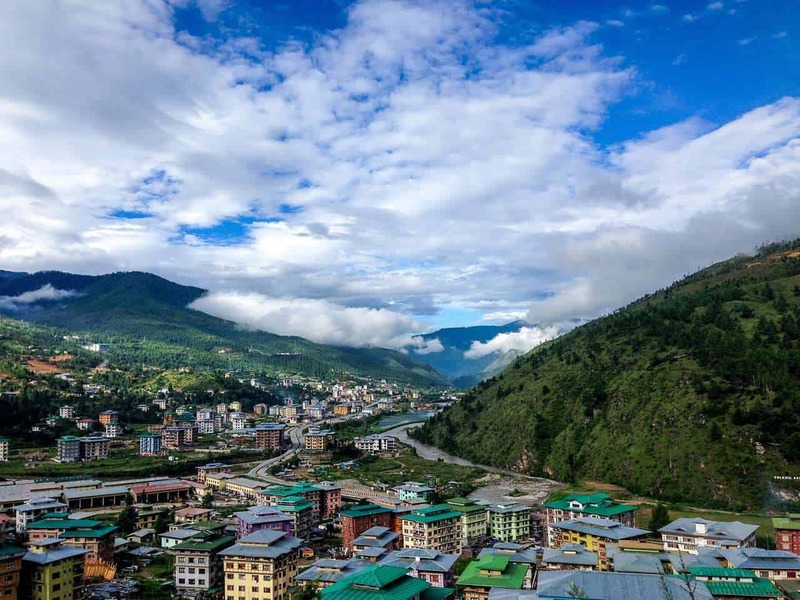 Currently, Bhutan is in a phase of transition, where unlike in the past, the majority of students coming out of universities who choose to opt for jobs in the public and private sectors are instead making self-employment their career choice. Like most countries in Asia and around the world, Bhutan too has its own fair share of challenges to face, particularly in the vexing problem of unemployment amongst graduates. This concern is more accentuated because the representation of youth is rather large than in other countries. It is mainly due to this that various stakeholders like educational institutions, government, and other corporate agencies are attempting to make initiatives in the development of the entrepreneurship culture in Bhutan. Once the Royal Government realised that the only way to develop the economic growth of the country was entrepreneurship, a dedicated institute namely, The Entrepreneurship Promotion Center or EPC was established way back in 1990. Today this organisation works under the Ministry of Human Resources and undertakes entrepreneurship-related activities all over the country. These range from seminars, workshops, business promotion competition and other related courses on a regular basis. Some of the highlights of EPC are illustrated below. Bhutan is also a stunning country with so much to see and do. If you are there for the entrepreneurship course, we would recommend hopping on one of the many epic Bhutan Tour Packages as well to make the most of your time in the land of smiles. Youths from ages 18 to 35 years can opt for this month-long course, where basic entrepreneurial skills, like business development, are imparted. Those who are successful are then eligible to get a loan of Nu 5,00,000 under the Credit Guarantee Scheme, without having to pay any security. The loan can be enhanced by another Nu 5,00,000 depending on evaluation and feasibility. This 40 days working course has been put in place for ages 18 to 35 for those who have a minimum qualification of high school pass. These graduates too are eligible for a loan under the Credit Scheme, but the amount is limited to a million Nu. Despite the many other agencies who are striving towards promoting development of entrepreneurship, there are many hurdles which have affected the same. The most important factor is lack of financial aid. Having access to the money required to set up a new venture, or for that matter expand an existing one, is the biggest problem being faced by prospective as well as existing entrepreneurs. While large scale startups manage to procure finance from banks and other institutions, it is the small entrepreneur who has to face the hardship. To add to their woes, the entire process of obtaining financial help is a long drawn and time consuming affair. Another factor which is affecting entrepreneurship is the lack of non-availability of raw materials, which is vital in the growth and development of Bhutan. This has mostly resulted in the younger generation opting for a more basic and secure table job. Though the income is considerably less, they are deemed as a secure and sustainable source of money. The entrepreneurship culture of the country, at present, is fuelled only by the scenario of unemployment which is created when thousands of graduates pass out every year. They soon realise that it is futile to wait for a government job or an offer from any recognised agency and decide to create an opportunity of their own. It may still have the inherent risks, but the change of ideas and innovations are considered to be worth the effort. In fact, in the face of rising unemployment among youths, the idea of entrepreneurship has become even more relevant than ever before. Entrepreneurship education is seen as a viable solution to the problems of the Bhutanese youths who are unable to get jobs. The skill and knowledge so acquired can lead to an increase in economic efficiency, which in turn results in new jobs and high employment levels. The youth, in turn, can then match these innovations in the competitive job market and thereby secure a place for themselves in the same. Since the past few years, the Royal Government of Bhutan has been laying greater emphasis and commitment on entrepreneurial activity than ever before. This is in line with their far-reaching object of securing larger economic goals. Most of the major policies like the Economic Development Policy, Small and Medium Industry Policy etc have laid stress on entrepreneurship. In conclusion, the need for an urgent entrepreneurship education in Bhutan is deemed important, mainly because the employment opportunities are not growing vis-a-vis the number of students coming out year after year. The Bhutanese Government should educate the youth on the importance of entrepreneurship as an alternative if not a principal career. The current practice of imparting this technique to just a few, rather than permeating it in the education system itself is the need of the hour. If things are allowed to stand, there will be hardly any prospective entrepreneurs emerging from the schools and colleges in the near future. From parents to local government officials to other stakeholders, all should make a strong attempt to feel the urge of empowering the students with the basic skills and knowledge of entrepreneurship.